Reserve your piece of paradise in the Smoky Mountains today! 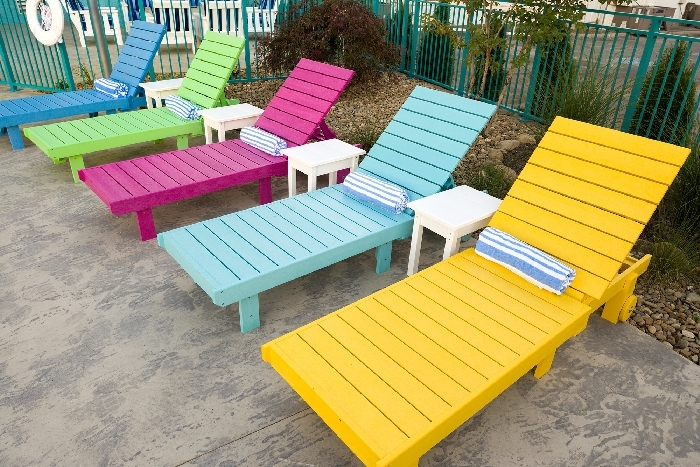 The Margaritaville Island Inn invites you to kick off your flip-flops, sit back, and soak up the sun with coastal-themed accommodations, enticing pools, and plenty of places to lounge around. 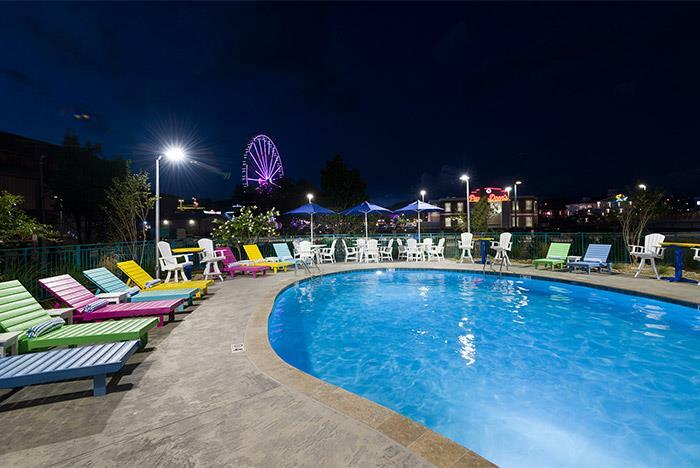 Located at The Island in Pigeon Forge, you’ll be surrounded by premier entertainment, restaurants, and ultimately — fun! 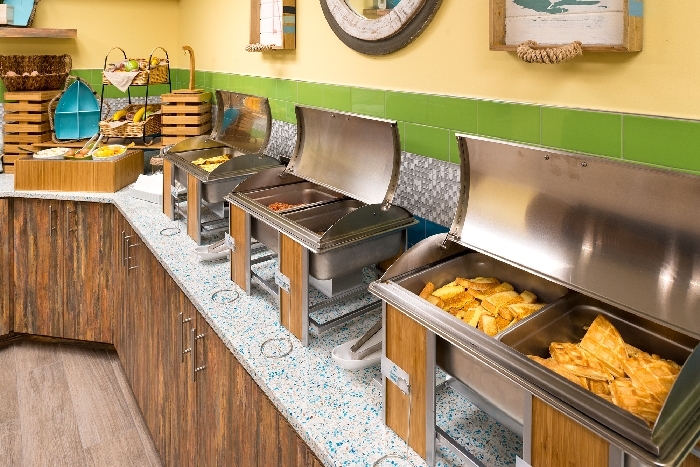 Complimentary “healthy start” breakfast served daily. 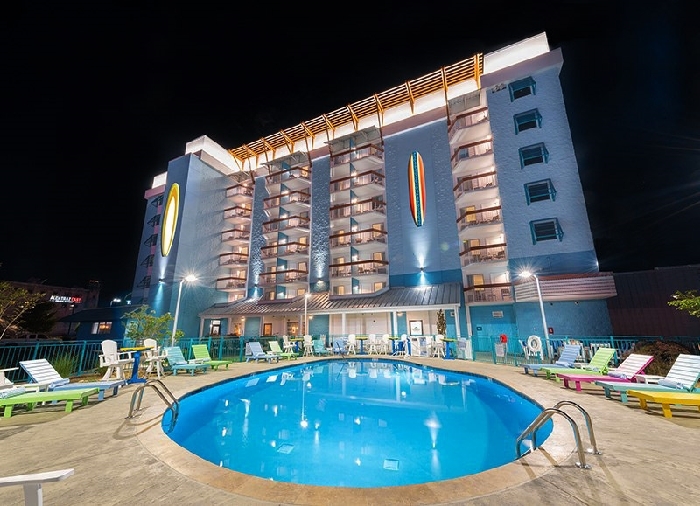 Rooms include views of the Smoky Mountains, the Parkway, or the Island. Stay connected with free WiFi throughout the hotel. Located within walking distance to top shops, attractions, and restaurants. Complimentary bicycles available for use by all guests. 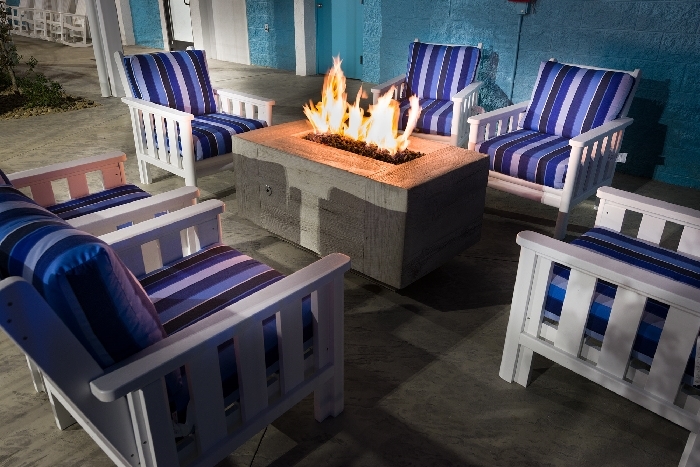 Relax by the indoor and outdoor (seasonal) pool, hot tub, and fire pit. Features 24 hour coffee service, concierge, and fitness center. A gathering room is onsite, as well. Flip flops welcome at The Island’s newest destination! 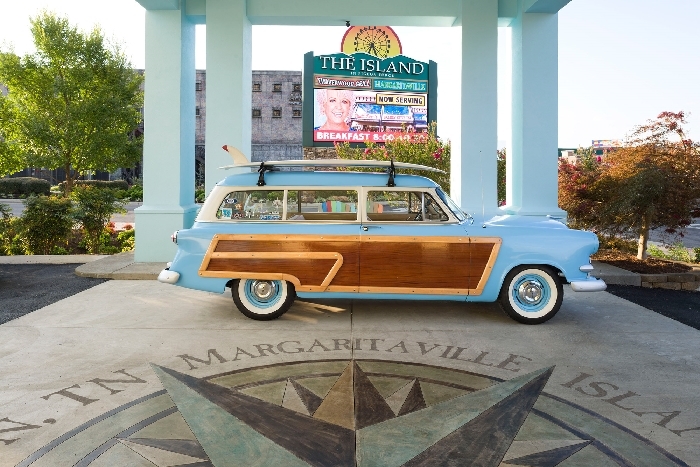 The Margaritaville Island Inn offers 104 cozy, coastal-themed accommodations and two pools where guests can unwind after an action-packed day in the mountains. With a splash of the tropics and friendly staff members who know your name, the new Island Inn’s laid-back attitude and scenic backdrop await you. 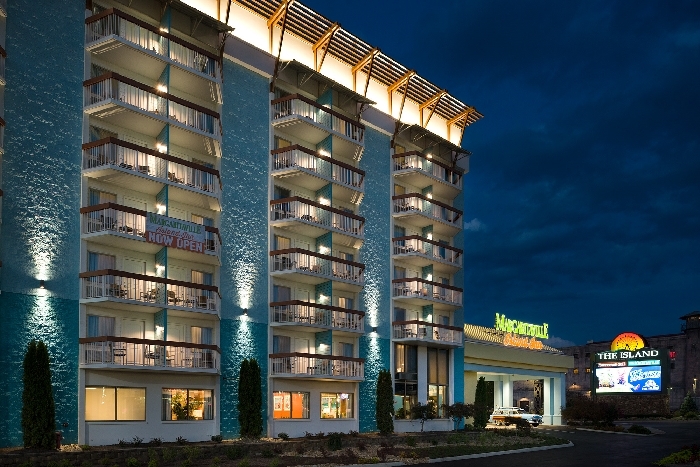 An encore to the award-winning Margaritaville Island Hotel, the Margaritaville Island Inn is beach perfection in a sea of mountains. 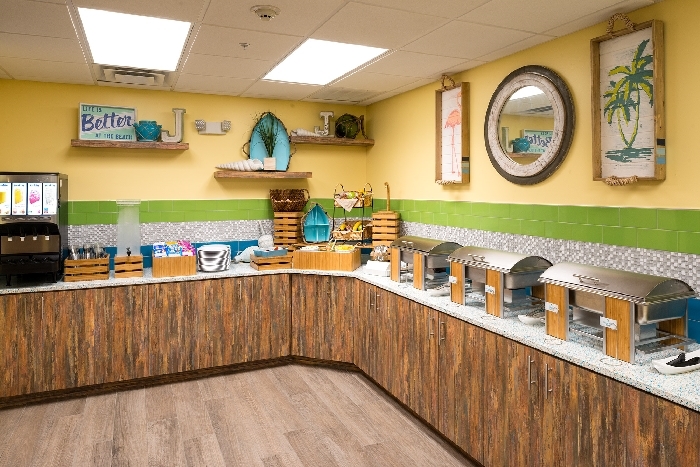 A fun choice for active travelers, couples or the whole family, the Inn is a short walk from the festivities, dining options and entertainment on The Island in Pigeon Forge. Nestled in the heart of the Smokies, the area offers something for everyone with exciting new attractions, retail and specialty shops, eateries, live music and fountain shows, mountain landscapes and more. 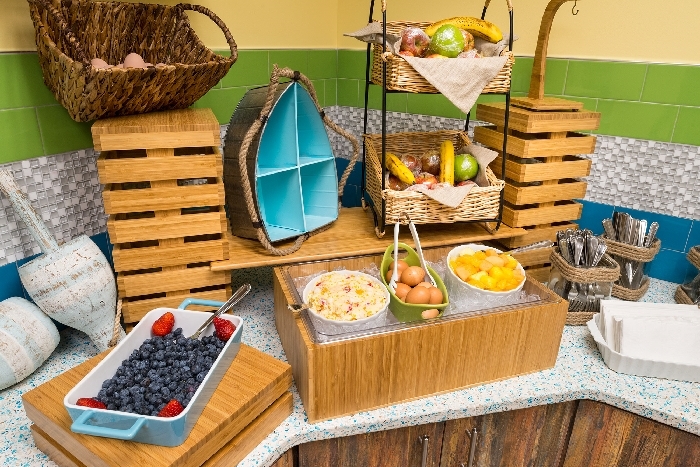 Before a day of adventure and activities enjoy our complimentary healthy start breakfast. 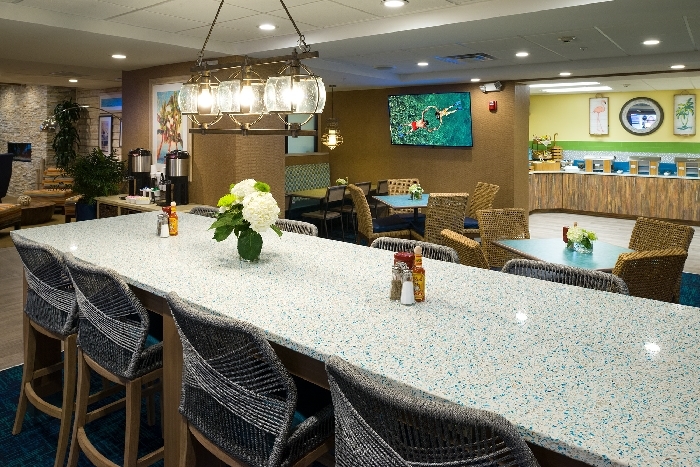 Then, after a day of fun at The Island or exploring the mountains, effortlessly unwind and relax in the laid-back, Margaritaville atmosphere. Indoor and outdoor pools, hot tub, fire pit and family gathering and lounge areas make comfort a breeze and vacations memorable. 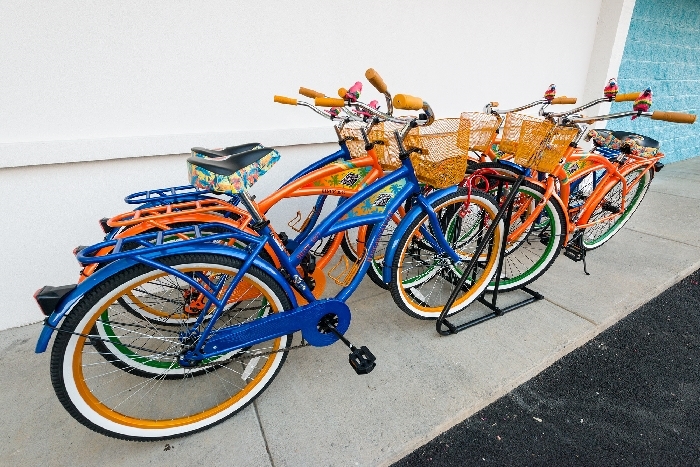 Additional amenities include a complimentary "Surf The Web" computer station, 24-hour coffee service, concierge and fitness center, guest laundry, and complimentary bicycles for our guests. Is parking offered to guests? Yes. Guests enjoy complimentary self-parking. No. Only service animals are permitted on hotel property. The hotel offers 104 guestrooms. Does the hotel offer a complimentary breakfast? Yes. 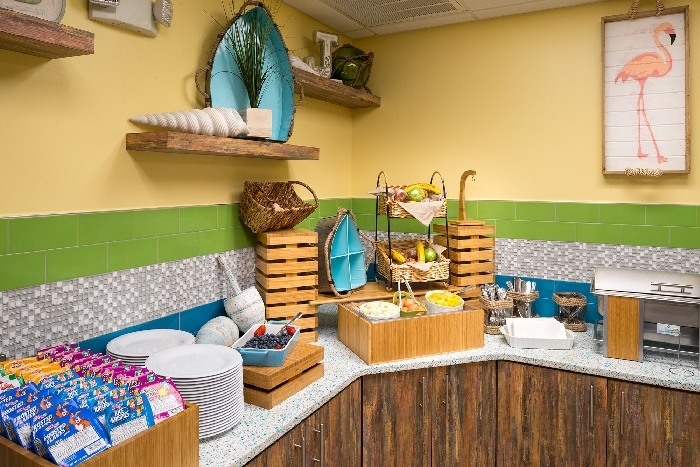 The hotel serves a “healthy start” light breakfast each morning. Gluten free and vegan options are provided, as well. Will my room include a refrigerator and/or microwave? Will my guestroom have a safe? Yes. In-room safes are provided to guests. Will I be charged for using the Internet? No. WiFi usage is completely free for guests. How far away is The Island? The Island is within walking distance from the hotel.